Like for most things, you can only understand the strong emotions grandparents feel towards their grandchildren once you’ve experienced it. Some live only for their children and grandchildren. I cannot imagine this. I feel so lucky and priviliged to have my twin passions, my family AND my writing. I’ve reconnected recently with people from my past, one who told me that he is bored with his life. What about the joys of learning new things, of travel, exploring different places, cultures and scenery? How can anyone be bored when there is so much to do and to see, even in one’s own country, not to mention other places on planet earth? Someone asked me recently why I blog. Another person said recently that, at my age, it’s enough to be a good grandmother to my grandchildren. To be honest, and I’ll try to be truthful in this, the reason I started blogging was because of my older brother. I’d like to say that he encouraged me to do so, but the truth of the matter is that it was a case of sibling rivalry. Mine. About ten years ago, he started a blog from his eyrie, a farmhouse nestled in a valley below the French Alps, and I wanted to prove that I was able to do so myself. I’d been writing for therapeutic reasons for many years at the time. I knew it was a hangover from childhood, this need to prove myself: an immature impulse on my part. It’s the same reason why I embarked on higher studies, and ended up with several Masters degrees, even though I didn’t like school, or even university very much. But I found that I was good at it, and, in the long, run benefited greatly from what I studied. It has taken me years to realise that, what I really love doing is honing my skills in creative writing, especially fiction and memoir. And guess what, ten years on, I’m still enjoying the blogging process, as it feeds into my passion for writing. So thanks, mon frère, for always being an inspiration. Fortunately, I also have time for my seven grandchildren; two of them, Kate’s little boys, live nearby. 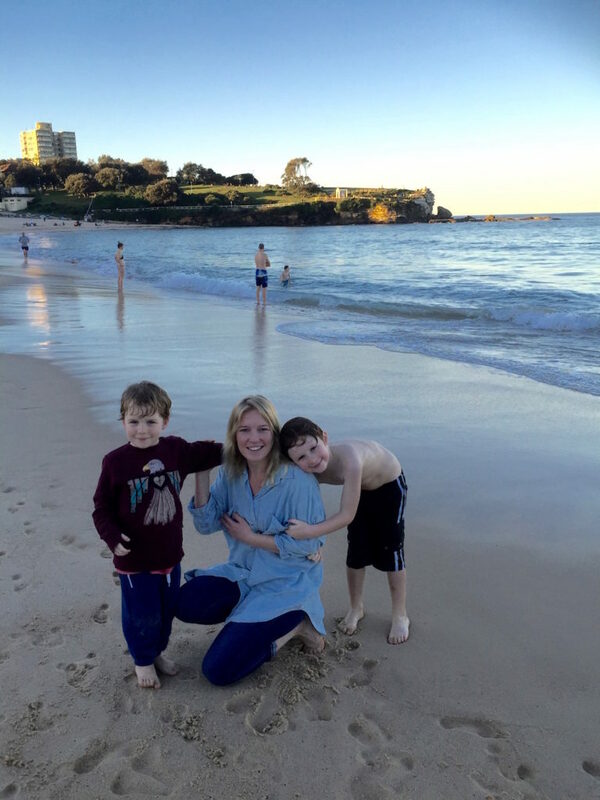 In the following photo, the two children have been swimming during winter. Between them, our daughter and son have provided us with seven grandchildren. When Joel’s daughter Ariadne was born in 2005 it was our first. 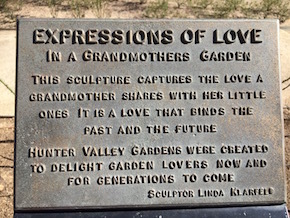 Even though we did not see much of our granddaughter, because the family was living in the Hunter Valley, it was such a buzz when we visited them, and took photos and received others of her over the successive years. There was an immediate closeness between her and me, as if something in the genes preordained it. Of course, mothers stay very close to their daughters, so it’s not surprising that when Kate gave birth to our first grandson, I should take a central role in nurturing him. I was even there at the side of the bathtub, along with my husband, when Kate gave birth to Lee during a water birth at the local Maternity Hospital. He was so sweet, fragile, and slow to start to breathe as he lay on his mother’s stomach with the chord still pulsating. I was one of the first to hold him. From that moment on, I was sunk, a sucker for this tiny child with so many needs and surrounded by so much love. Now there’s another son, Mark, just as precious. 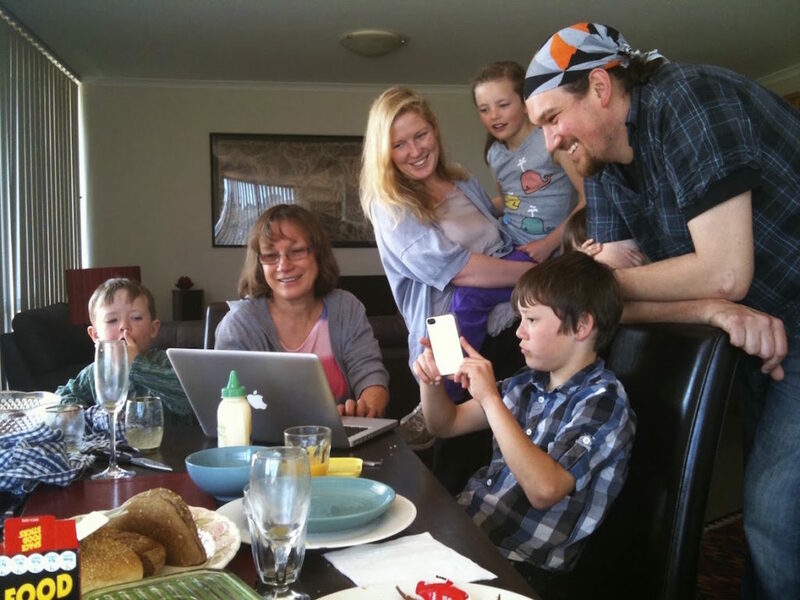 Four of the grandchildren are non-biological, having been fostered by Joel and his partner for six years now. 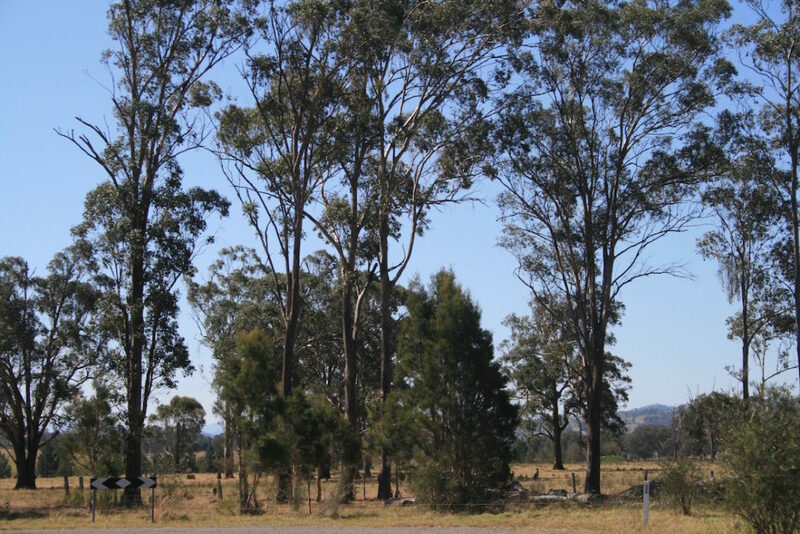 When we visit the other mob, it’s a three-hour trip by car to Vacy in the Hunter Valley. 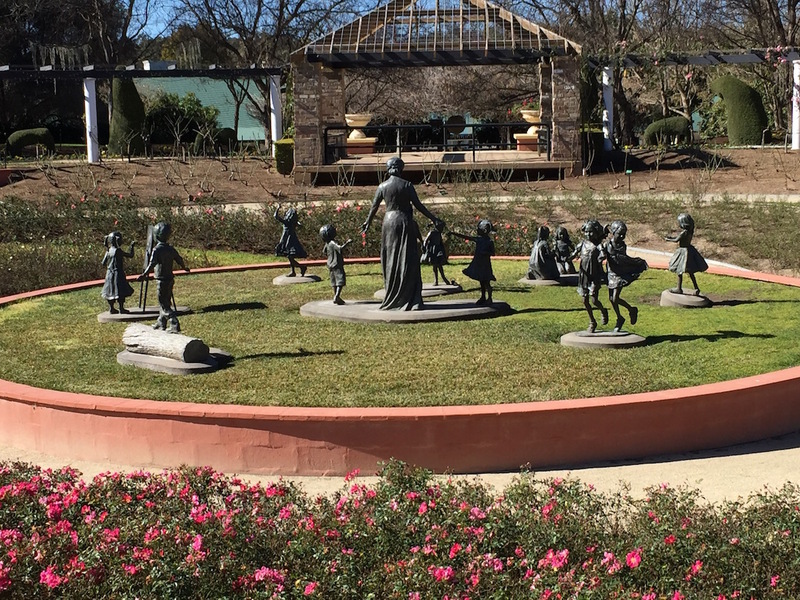 Here the kids play in nature surrounded by dogs, horses, gum trees, and, in the distance, kangaroos. It’s a paradise for children. The grandchildren have the best of both worlds: the seaboard and the bush. Thanks there’s something about seagulls! Thanks for the follow. Looking forward to your photos as my grandmother was from Sydney.